The 2018 annual seminar of the Himalayan Club stayed true to how the world of hiking and climbing has always been in Mumbai – it is a small, tightly knit world of those appreciative of these pursuits. 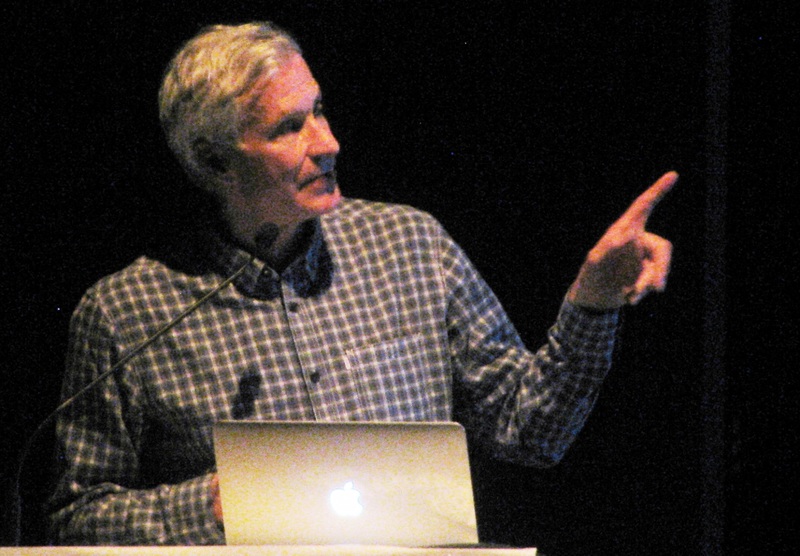 Talks by two riveting climbers – Mick Fowler and Catherine Destivelle – anchored this year’s proceedings. 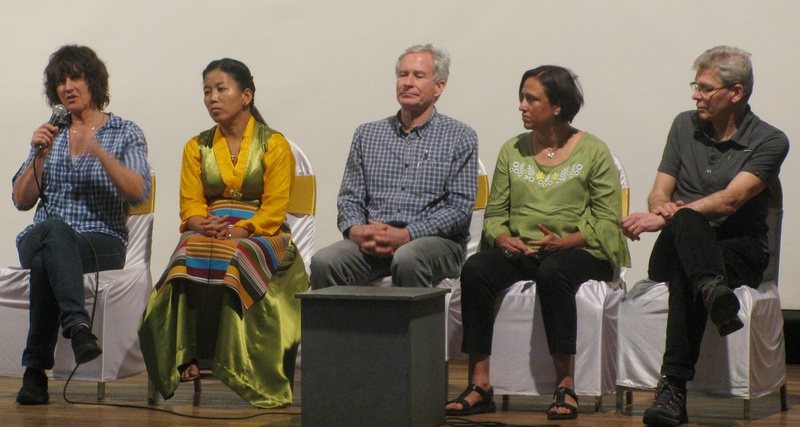 Strung between these two presentations, were talks by Mark Liechty, David Breashears, Maya Sherpa and Vineeta Muni. The two day seminar held over February 17-18, was inaugurated by industrialist Adi Godrej; the Godrej family has been longstanding benefactors of the club. Also present was Nadir Godrej. It was announced on the second day of proceedings that British mountaineer, Mick Fowler, known for his alpine style expeditions to attempt tough, unclimbed routes at altitude, had been made an honorary member of the Himalayan Club. As of 2018, the club was 90 years old. In all that time, only 28 people were selected for honorary membership. Both in his presentation and a brief chat he had later with this blog, Mick mentioned that he didn’t belong to that school which tries to secure success at any cost on an expedition. Failure is part of the game and it must be accepted. 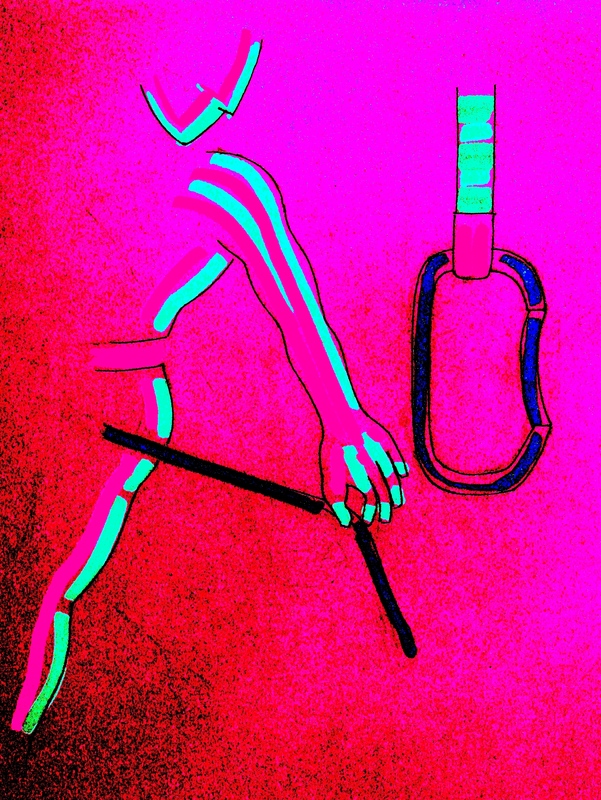 On more than one occasion Mick voiced his disapproval for drilling rock and installing expansion bolts (for placement of gear), something climbers are prone to do when a route is sketchy. It is bizarre to conclude that just because you couldn’t climb a route – using available holds – it can’t be done; particularly when younger generations are out-performing older ones. What should matter is – how you climbed an objective, he said. Mick’s choice of routes stands out for their high degree of technical difficulty and challenge. Asked how easy providing for potential failure is, given modern expeditions have several constituents including sponsors who invest for promised result, he admitted that it isn’t always an easy task. However, there are foundations and people providing grants, who look at mountaineering differently, valuing the challenge tackled more than the success guaranteed. This year’s Kaivan Mistry Memorial Lecture was delivered by Mick. Far Out – the book by Mark Liechty. This image has been downloaded from the University of Chicago Press website and is being used here for representational purpose only. 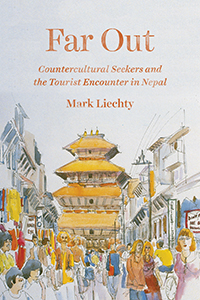 Mark Liechty’s book, ` Far Out,’ won the club’s Kekoo Naoroji Book Award. Mark – through his acceptance speech following the prize ceremony – illustrated the context of the book and what it dealt with. As a quest to understand why and how the Himalaya came to mean what it did for the counter-culture movement, it is among few books out there to have tackled the subject and perhaps the only one enmeshing the quest with research. Shortly into his speech, Mark explained the book’s premise clearly, referring to an interview given by the actor and director of a recent Hollywood movie which alludes to the Himalaya in the mystical fashion the West is prone to. “ My guess is that many of you here have visited Kathmandu and I wonder how many of you found it to be “incredibly spiritual and marvelous,” – a place with “almost no Western influence,” a “deeply mystical and religious” place, a “most peaceful” city. How anyone could go to Kathmandu and not find a chaotic, noisy, polluted, crowded, underdeveloped city, I don’t know,’’ Mark said. Of course Kathmandu has its charms and the Nepalis are wonderful, gracious people. But the question that bothered Mark was – how is it that presumably reasonable people like that film crew could go to Nepal and find a place that arguably does not exist outside of their own imagination? “ In a nutshell, that is the question I’m trying to answer in this book. After a lifetime of hearing comments like these, I wanted to know how and why Westerners have constructed not just an imagined Kathmandu, but an imagined Himalayan region marked by mystical alterity,’’ he said. As Mark dug deeper into these questions, he soon found that the kind of things the film crew was saying were anything but new. Rather, for most of the last 200 years Europeans and Americans had been imagining the Himalaya in similar, and sometimes almost identical, terms. “ Especially for counter-cultural figures—people unhappy with the secular, rational, capitalist West—the Himalaya was the last unknown place, and therefore the last place on which they could project their hopes, dreams, and fantasies for some other, uncontaminated, place,’’ he said. 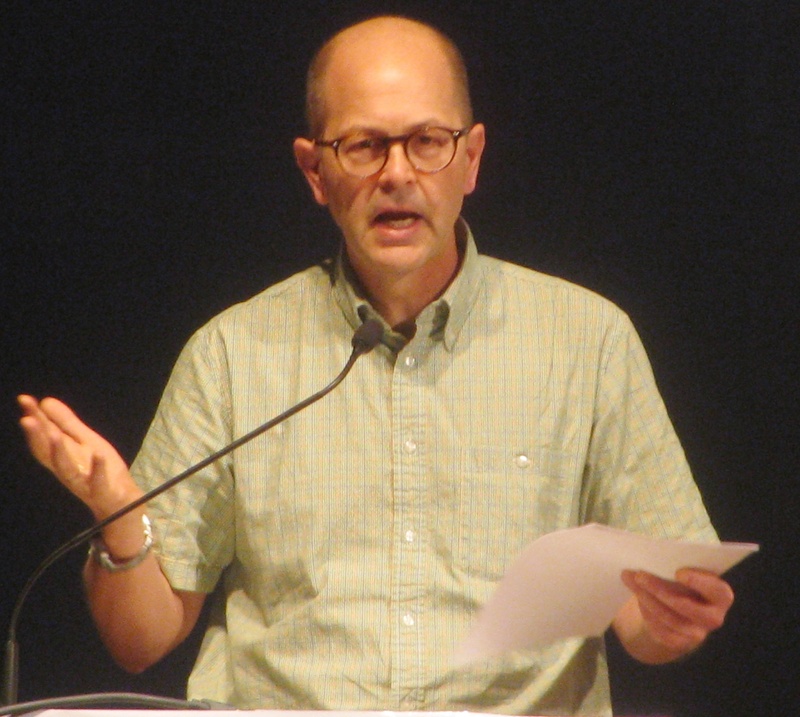 Mark, is currently Associate Professor of Anthropology and History and Coeditor, Studies on Nepal History and Society, University of Illinois, Chicago. You can’t think of American mountaineer David Breashears without Everest in the frame. He was the first American to summit the peak more than once. Among the world’s best known high altitude film makers, he was responsible for the IMAX movie on the mountain made several years ago, the shooting of which in 1996, happened the same season one of the biggest tragedies on the mountain (since famous as material for Jon Krakauer’s book: Into Thin Air) unfolded. At the seminar, his presentation dealt with the work around climate change that he is doing at Glacier Works, a non-profit organization he founded in 2007. 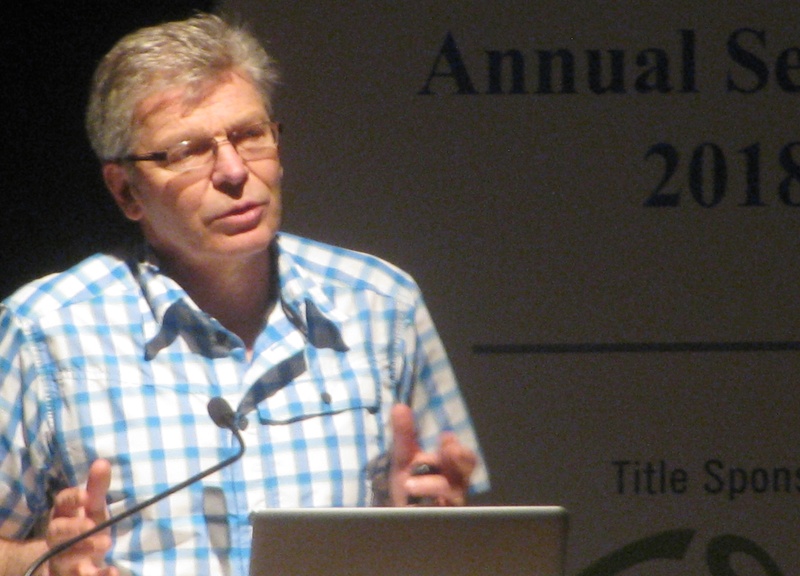 While the organization’s work revolves around showing how climate change has impacted the glaciers of the Himalaya, David brought the issue closer home pointing out that as the world’s major ice caps melt leading to increase in sea level, Mumbai would be among cities potentially affected by it. He also shared his views on how commercial mountaineering has impacted the Everest environment, especially the location of camps along the main climbing route. A lot of cleaning up has been done but the scale of human presence on the mountain is not without accompanying impact. 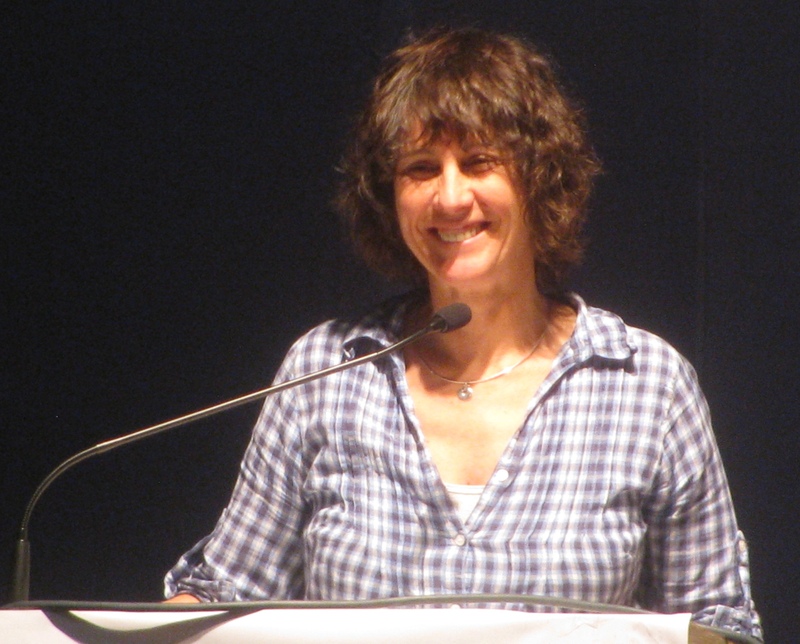 Catherine Destivelle’s presence at the seminar signified her first visit to India. She is one of the most iconic climbers in the history of the sport with a career that spans competition climbing to rock climbing and solo ascents to climbing on snow and ice in the big mountains. She opted for a combination of screening a film on three climbs in the European Alps that provided a window to her life and nature and replying to questions thereafter. Nepal’s Maya Sherpa came up the hard way. Having done her training, she was working in the country’s trekking industry when opportunities to climb manifested. With a handful of elite mountains – including K2 and Everest – already bagged, she confirmed that she is on a quest to climb all the fourteen 8000m peaks. Vineeta Muni’s presentation provided an overview of her long tenure in Indian mountaineering, including a trans-Himalayan hike done years ago in the company of others. A resident of Mumbai, Vineeta said that she owes much of what she came to know in life to her affection for the mountains. Later while answering questions from the audience, all the panelists agreed that anyone newly getting into climbing should train for the sport and not rush into it. They should allow things to evolve slowly, taking time for it. Knowing how to take care of oneself is important at altitude as failing to do so, potentially puts others too in danger. Both Catherine and Mick mentioned that they picked their friends in climbing, carefully. Years ago you had pioneered live broadcast from the top of Everest. Now you are using rich digital imagery at Glacier Works to drive home the impact of climate change at altitude. Can you tell us whether your relation with media and technology has transformed over the years or does it continue unchanged? First it was a physical and tangible relation to media through film. You loaded your camera; we had the IMAX camera, 65mm film on the top of Everest. You were in contact with the media. I embraced the digital world very, very quickly for a couple of reasons. First of all, I could get much more information, more data, many more images, less expensively. I don’t have to buy film, process it and have prints made. I also became more mobile because I didn’t have all this film and film is heavy. It is also very useful to be able to review your work when you work the way I do. I happen to be away for lengthy periods of time and you can’t come back and find that the camera was scratching all the film. These are the practical things. The digital world has also given me so much more potential for the story telling I want to do. For example with that big 3.8 billion pixel-image (reference here is to a panoramic image of the Everest region he showed at the seminar), people have found it a fascinating way to explore Everest. I still love film for some purposes. But I can’t imagine now going back into the field with 50 rolls of film. It was transformative. How about the contrast between your earlier work and what you are doing now? Previously your films brought the experience of Everest into theatres and the homes of people. Now you are using your abilities to spread awareness about the impact of climate change on glaciers, which is conservation oriented. Is there something of your own experience transforming you that is visible in this altered relation with the media? The film experience is very special whether you are sitting in front of your TV, computer or you are at a theatre – because you have not only imagery, you have sound, dialogue, music and effects. And these things are very powerful in creating an emotion. However, when it comes to climate change, we are acting like journalists. We don’t want to play music and such. The information has to present itself and stand on its own. The other thing is, I have become very fond of our exhibits. We have had exhibits going around the world. I myself like going to exhibits; I like the experience of being at exhibits and finding out what someone else finds curious. When you are seeing in a theatre, you don’t experience something with someone else. You are looking at a screen; you may laugh at a joke with a friend or a whole theatre may laugh together. But in an exhibit space, people can turn to each other and say: what do you think of that? Or you overhear conversations or sometimes, say I am at an art exhibition, if someone is standing for a long time in front of a photographic print or a painting, then I go and I want to look over their shoulder and find what they find interesting. So although I have moved away from conveying information through film, I am most satisfied with using this current all-digital imagery of Glacier Works in print form in an exhibit. I don’t want someone sitting at home staring at it on a computer. Of course, that is where it gets its biggest audience. But I am an exhibit guy now. Live broadcast from Everest, I am ex-film, I went into exhibits and I will go back to films. But what we are doing now is hard and takes a tremendous amount of discipline. I didn’t want to mix up the discipline of that still photography and a high level of execution and compromise it by saying, let’s do a lot of video. We are small teams and we are focused on what we are there to do – the photography. I still miss film making. You have spent many years in mountaineering; you also spent many years in the media. Of late, there has been a lot of media in mountaineering. The late Tomas Humar’s climbs for instance, were sometimes occasion for live reportage on social media. Are you happy with how the media has contributed to mountaineering or would you prefer to have seen it contribute differently? I think there is great danger in having access to information that hasn’t been properly curated; instant access to information and the competition out there – whether it is Twitter, Instagram or Facebook or any form of social media. And the fact that things come out so quickly on traditional news. This is a very slippery slope. You create this audience that is always hungry for information in almost real time. But I do think there is no going back. It is very addictive, this need for information instantly. However I would still sit down and read long form articles about something. I know that several months from now after Elisabeth Revol and others have told their stories (David is referring here to the January 2018 rescue on Nanga Parbat in which French climber Elisabeth Revol was brought to safety but Polish climber Tomasz Mackiewicz couldn’t be reached), I want to read this in a good piece of reporting because I don’t think I got the best information yet. Sometimes you got to really get in there and get a lot of information from people. Every year in India, the Finance Minister presents the Union Budget in Parliament. This lengthy article explores the impact of the 2018-2019 budget on activities relevant to this blog like running, rock climbing, mountaineering and cycling. Not to mention sailing and kayaking as viewed through the tax man’s lens. The article seeks to look beyond the obvious, with examples. Will raising import tariffs automatically trigger manufacturing at home? While that does have some effect, there are other steps too which are needed to localize production meaningfully, especially if local manufacturing is to stay relevant to the performance segment in sports. The 2018-2019 Union Budget’s treatment of sports was a mixed bag. On the one hand, the centralized allotment of funds to the Sports Ministry increased significantly by Rs 258.2 crore to Rs 2196.36 crore. On the other hand, revision of import duty ensured price rise for a variety of imported sports equipment, including running shoes. In sports like kayaking, requests to re-examine existing duty rates went unaddressed. February 1, around noon, the first news flash appeared of potential price rise in sports goods. Are you sure? Just days ago, the government was talking of encouraging sports… – that was the reaction of a Mumbai based-retailer of climbing and outdoor equipment. A few days later, the budget’s fine-print showed price rise in much of what he retailed. Climbing hardware and climbing shoes are almost wholly imported. The relevant customs duty had doubled from 10 per cent to 20 per cent. In footwear there seemed no exception made for sports shoes. A week after the budget, the shop’s owners were still waiting for a picture, clear in every respect. At shop level, clarity takes time to unravel. For most of us, running is synonymous with freedom. It takes little to run. The growth of competition, including at amateur level, has changed that. Today, running is an industry with events, products and services available for a price. It is as corporate as your workplace; you chase goals, network, market, eliminate errors, advance your prospects, achieve – you do everything pretty much the same Sun Tzu-way you function in office. Our tendencies notwithstanding, running remains still an activity with health benefits and for those who care, a private ecosystem of self and universe. 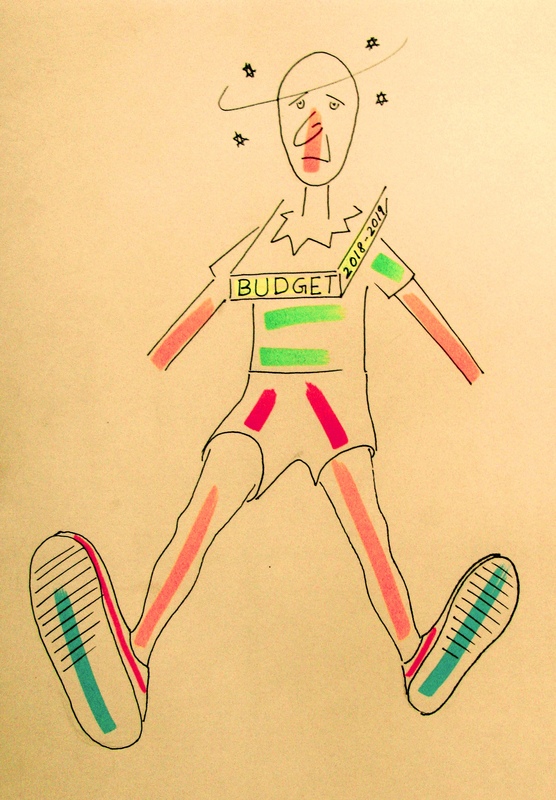 Before the latest budget, a pair of good running shoes cost anywhere between Rs 6000-10,000. The day following the budget, one newspaper picked a distinctly expensive model of running shoes and forecast an addition of Rs 2000 to its price tag. The eventual price was around Rs 17,000. Fact is, sale price of Rs 6000-10,000 is whammy enough. Whether you should use shoes for running or not, will remain a debate. For those who use shoes, finding the right shoe and sticking with it, is a matter of importance. Even runners from financially challenged backdrops, when they are able to afford shoes or access a pair, pick a good brand. As per a recent newspaper report, India’s per capita income in real terms (2011-12 prices) for 2017-18, was projected to be Rs 86,660. That would make it Rs 7221.67 per month. Juxtapose on that, Rs 6000-10,000 for a pair of running shoes! If you go purely by the import duties altered (overlooking how companies plan their sourcing), the 2018-2019 budget has made imported running shoes costlier still. Gym equipment strangely found soft corner as regards customs duty although its applicable domestic tax rate (GST) is high. As product category, gym equipment is more in the realm of institutional purchase than retail. In contrast, running shoes are widely bought. Footwear is a focus segment under the government’s `Make in India’ program. In his speech, Finance Minister Arun Jaitley mentioned that the duty adjustment in question was done to encourage local manufacturing in a range of products, footwear being one. According to data on statista.com, the world produced 23 billion pairs of footwear in 2016. The top four manufacturing countries were China, India, Vietnam and Indonesia – in that order, with China leading by a hefty margin. If you go to a store in Mumbai that sells running shoes and check models for the ` Made in India’ tag, you will typically find it on cheaper models not associated with high performance. On the other hand, China, Vietnam and Indonesia frequently show up in tags from the performance segment. Clearly there are reasons best known to shoe companies, why this is so. This blog couldn’t get a response from the foreign shoe giants dominating the market for running shoes. However, if you track published news reports, a narrative unravels of what happened in the footwear industry. Given its massive population – soon to be the world’s biggest – India is among the world’s biggest markets for footwear. According to a study by Technopak Advisors, cited in the media, the domestic footwear market is growing at 12 per cent per annum; it is expected to vault from $ 6 billion in 2014 to $ 11.5 billion by 2020. A big share of this industry is unorganized; 80-85 per cent of players fall in micro, small and medium enterprise categories. Data published alongside some of these news reports show that 40 per cent of industry sales came from modern retail while 60 per cent came through unorganized retail. Synthetic footwear constituted 80 per cent of sales, leather accounted for 20 per cent. The Indian footwear industry is known for its strength in leather craftsmanship. According to some in the business of making running shoes that this blog spoke to, in as much as India is strong in leather craftsmanship, it has catching up to do in other areas, including ability to produce real performance shoes for use in sports. Inadequacies surface depending on how truly performance oriented you want the shoe you make, to be. If you are aiming high, the Indian manufacturing environment falls short. For example, some of the types of rubber used in the soles of shoes meant for running and found in models overseas, are not yet available here. If your wish, as Indian brand, is to make a product that matches a good foreign running shoe, you end up either importing the whole shoe under your brand or importing the raw materials should you have manufacturing facility here. The market for sports shoes and performance shoes therein are still evolving in India. Consequently the manufacturing ecosystem for these products is also not highly developed. Depending on what type of shoe they wish to make, Indian manufacturers are forced to look overseas. Abroad (in the case of footwear, it is mainly China and South East Asia), the required raw materials are available as are well-appointed factories with skilled manpower, not to mention – the existence of well entrenched manufacturing culture. It would seem the tariff revision of the 2018-2019 budget coincided with flux already underway in the Indian footwear sector. In the run up to GST, the industry reportedly sought five per cent tax for its products. At least one news report said, the Council for Footwear Leather and Accessories (CFLA) wanted shoe imports from China discouraged as these shipments had come to command “ over 20 per cent of the market by value.’’ When GST was implemented in 2017, the effective tax rate in footwear was five percent for shoes costing not more than Rs 500 a pair and 18 percent for the rest. GST is expected to be a game changer for Indian industry. The footwear industry was unhappy with the polarized tax rates of five per cent and 18 per cent. Revisions to GST announced in November 2017, brought no relief for footwear. If you go through media reports quoting footwear industry officials from mid-2017 onward, you will also find another aspect mentioned – the 18 per cent rate would be tough for those making shoes in the price range of Rs 500-1000. These points illustrate the industry backdrop against which, customs duty on imported footwear increased to 20 per cent in the 2018-2019 budget. Besides discouraging imports from China as sought, the move potentially opens up possibilities for domestic manufacturers to tap any tariff inspired-drive to manufacture locally; it also allows existing local players to grab volume in the middle segments of the market using cosmetic additions to what technologies they already possess. To note: the middle segment is not the performance segment. “ Everything therefore depends on what specific product you wish to make; how high you are aiming,’’ one manufacturer this blog spoke to, said. Perhaps the most confusing part of the shoe story was the situation at retail stores selling imported running shoes. Two weeks after the budget, we visited a couple of stores at a leading mall. None of them knew of the customs duty hike. They spoke of prices revised after GST for the ongoing season, even prices reduced in the recent past. “ Maybe the impact of duty revision will show up in the next season when fresh stocks arrive,’’ one shop assistant speculated. But as of mid-February 2018, there is a caveat we should consider before reaching any simplistic conclusion on the budget’s impact on running shoes. January 26, 2018 was notable; a host of ASEAN heads of state attended India’s Republic Day parade. Almost fifteen years earlier, in October 2003, the initial framework for the ASEAN-India Free Trade Area (AIFTA) was signed. The final agreement was signed in August 2009 and the free trade area became effective in January 2010. Major exporters of footwear – including running shoes – like Vietnam and Indonesia, are members of ASEAN. At least one news report said that those from the Indian footwear industry requiring still to import, hoped that AIFTA would provide an alternative, cost effective route to the barrier of 20 per cent customs duty imposed by the 2018-2019 budget. Till these options play out, it is probably too early to speculate about prices of running shoes. A more relevant question is whether altering customs duty for protection, really triggers domestic manufacturing and if so, what the nature of that manufacturing is. The pattern of domestic manufacturing industry chasing volume and continuing to lag in technology was witnessed earlier in another budget, which tampered with customs duty. The 2018-2019 budget and its impact on running shoes, brought memories of a budget tabled by Pranab Mukherjee in 2012, wherein the import duty for bicycles and bicycle parts was hiked. That was the first budget-induced jolt to cycling since the arrival of a slew of foreign brands revitalized Indian cycling. Six years after that budget, there has been change. Indian bicycle manufacturers have more models sporting better specs, in price brackets leading up to the performance category (also called super premium). This is where the market’s volumes are for now and into the near future. Two other aspects are visible alongside. Performance models continue to remain the domain of imported brands. It takes a combination of factors – ranging from a cycling culture that pushes itself to manufacturing that pushes itself – to develop performance DNA. That is a choice independent of manufacturing economics and love for tariff driven-protectionism; it is a commitment. Second, within the world of bicycle manufacturing, technologies relevant for the performance category are still not accessible in India or when accessible, not cost competent. New Indian bicycle brands – from the driven lot that is – do their own product designing but make their aluminum-bicycle frames overseas. The larger companies with big brands to protect are comparatively opaque. How much of their aluminum frames in the costlier models are made in India, how much is sourced from abroad – we have little idea of that. Before the foreign brands entered, India was an all-steel bicycle market. Talk in the trade is that aluminum bicycle frames are still a matter of import. Butting and well finished welding – these are the two main challenges while fabricating aluminum bicycle frames. Butting requires you to hollow out aluminum tubes such that they are structurally strong at critical points even as they are light overall. This is done through the creation of varying wall thickness within the tube. Done improperly (aluminum is tricky material to work with), a tube can develop weak spots. You can cover up your deficiency by not pushing the limits in butting and retaining a heavy tube, which in turn makes for heavy frame. Word on the street is that Indian manufacturers are also hampered by their inability to do aluminum-butting and welding cost effectively at home. Result – aluminum frames continue to be imported. In the global bicycle industry, aluminum frames are a notch above steel. Stacked above aluminum are frame technologies using materials like titanium and carbon fiber. 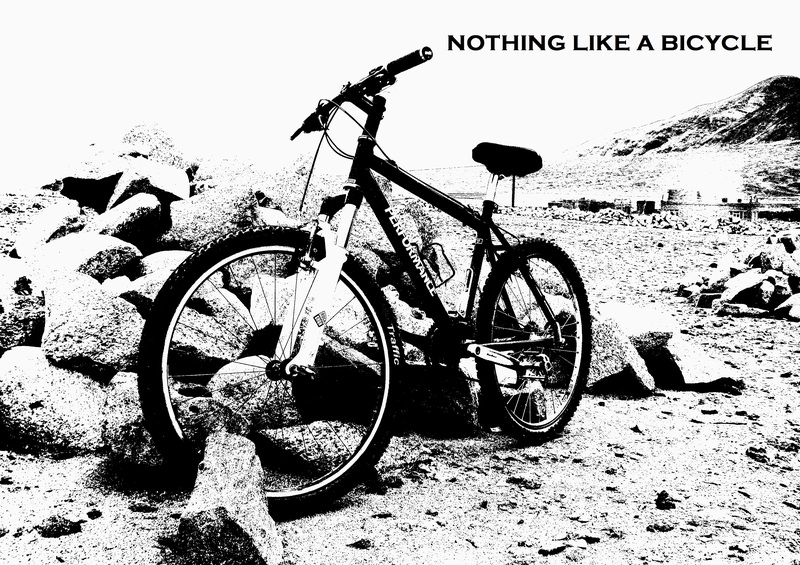 In the aftermath of the 2012 budget, bicycle prices rose, there was alteration of specs to suit price points – all this happened; in other words a giant ripple triggered, takes time on water to play itself out and strike fresh equilibrium. What improved in the process were products in the market’s middle – the volume category or what is called mass premium segment. As for performance products; what the shoe manufacturer said stays true across product categories: if you are customer, it depends on what you are looking for; if you are manufacturer, it depends on what you wish to make. This is where we stand in bicycles the budget of 2012 notwithstanding. A sample of the new entrants – who are they, what are they like? New industry players are different from the earlier lot. They don’t necessarily hail from industry. Some have a background in sports; others are deeply interested in the activities they cater to. According to Wikipedia, Siddharth Suchde was once ranked number 39 in the world, the second highest ranked squash player from India. He grew up in India, Scotland and Switzerland and went on to attend Harvard University. The year he graduated from Harvard, Siddharth was national champion in college level squash in the US. In 2016, sometime after he retired from professional squash and commenced an e-commerce company, Siddharth started a private label in performance gear focused on serious athletes. It is called Azani Sports. In footwear, the company makes running shoes. Siddharth had no previous knowledge of footwear manufacturing. Entering performance shoes straightaway is a risky gamble; you can make or break your reputation. But Siddharth said that as an athlete, exploring ways to improve is what he has done all along. He has cut up shoes, taken them apart to see what goes into making them. He can talk of grades of rubber, raw materials for running shoes and manufacturing processes. His wish is to offer shoes that perform really well at reasonable price. So far, Azani has done its own designing and got the shoes made in Vietnam and China. They test the shoes in India and abroad. Post 2018-2019 budget, import duty for raw materials relevant to Azani’s manufacture rose by five per cent while fully built shoes were candidate for customs duty of 20 per cent. On the bright side, in a few months’ time, the company’s factory will be commissioned in Bengaluru, Siddharth said. For a couple of years now, an engaging story in cycling has been Pune based-Psynyde Bikes. Founded by cycling enthusiasts, who grew up in the era of well entrenched Indian manufacturers of steel cycles and limited product portfolio, they pushed their rides to their limits, took them apart and modified them – till, they began designing and building custom bikes themselves. Soon they were ready to risk the numbers game. Psynyde designs in India, builds overseas and ships the products back for sale in the domestic market. It is a fledgling company with two factory built-models and different finish levels thereof. As products like running shoes and climbing gear took a hit in the 2018-2019 budget, cycling was breathing free. “ Bicycles seem to have been spared in this budget,’’ the country head of a leading foreign bicycle brand, said. February 2018; Shailesh Krishna was in Mumbai to explore the possibilities of pursuing a PhD in product design / industrial design (human powered mobility). He started out studying automobile engineering. By the time he finished his engineering course, he had lost his admiration for IC engine-based transport (in fact, while studying engineering he conceived the blue print of “ a new kind of IC engine, which would leave behind many of the course properties of existing technology’’). He wanted to be a designer in the transport space but could see nothing heart-warming in the prevailing state of Indian roads. Where people once walked comfortably, there was an explosion of vehicles, terrible congestion and serious pollution. Even if you shift to clean technologies, you still won’t address traffic congestion. Further, there was something deeply disturbing about the idea of traveling in caged private space within a closely knit social fabric that is city. As the model perpetuates itself, insularity takes hold. On the other hand, cycling is exposed to world and universe. “ Bicycles work as a positive force in society. 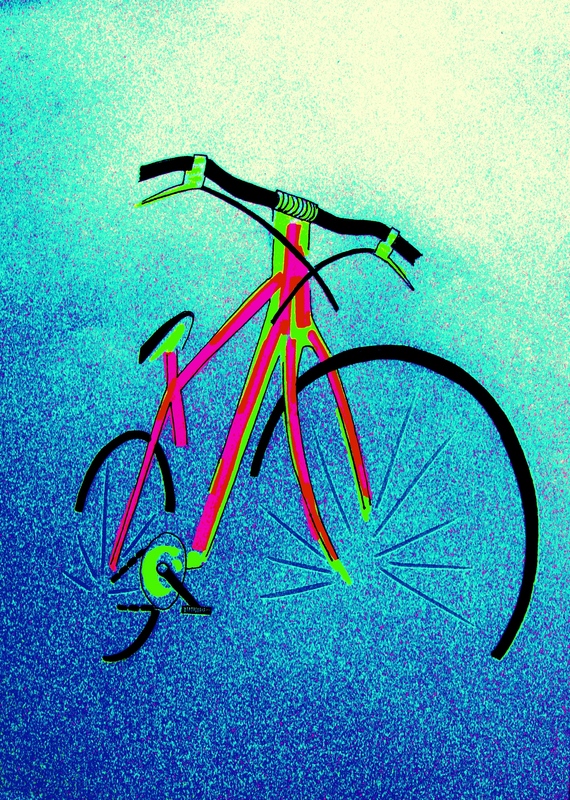 When I ride, my bicycle gives me freedom, it also connects me with people,’’ Shailesh said. Shailesh has high regard for TI Cycles. 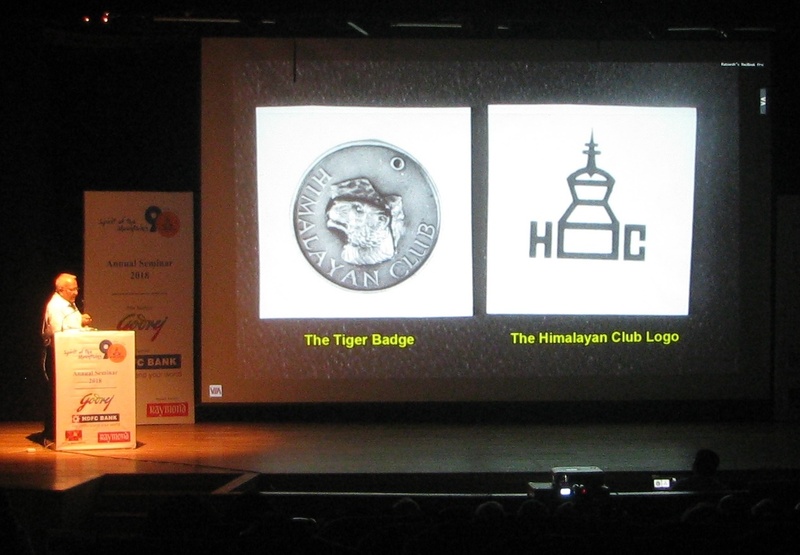 But he does not let that interfere with his views on how design is treated in India. If you think about it, all change starts with design. To design, you must have the ability to comprehend multiple requirements; for instance, there’s what the customer seeks, there’s what engineering can do, there’s how much capital will be assigned, there’s the present as starting point and product lifecycle extending into the future (you need to have a sense of how trends may evolve) and then, there’s the challenge of how you can address all these expectations. It is an exciting, convergent process. But the Indian approach to manufacturing relegates design to the realm of looks and styling; it attaches premium to making money. “ Quality takes a backseat at most companies. Priority is for what can be produced fast and cheap,’’ he said. 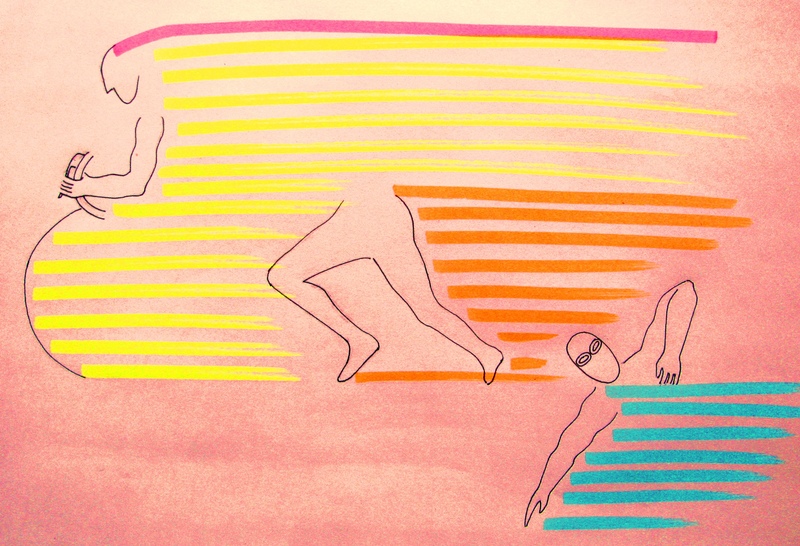 Result – designs get watered down; limits emerge on how much you can push boundaries. In an oblique manner, this probably explains why the classic Indian business play is around garnering volumes and not improving performance. If you want to improve performance, then user, product, design – they all assume significance as subjects to understand. It provokes a question in the context of budgets periodically revising import tariff to encourage local manufacturing. How effective is raising import barriers if it is not accompanied by domestic industry’s willingness to introspect and change? I asked Shailesh what the ideal work environment for a designer like him would be. “ I would like to work for a brand that allows me the freedom to make things happen and yet lets me stay in their space, working on what I want to be involved with. I don’t want to be converted into what they define as work because that is what the market wants. I want the room to design and build without the company’s business or its fear of losing market, interfering,’’ he said. 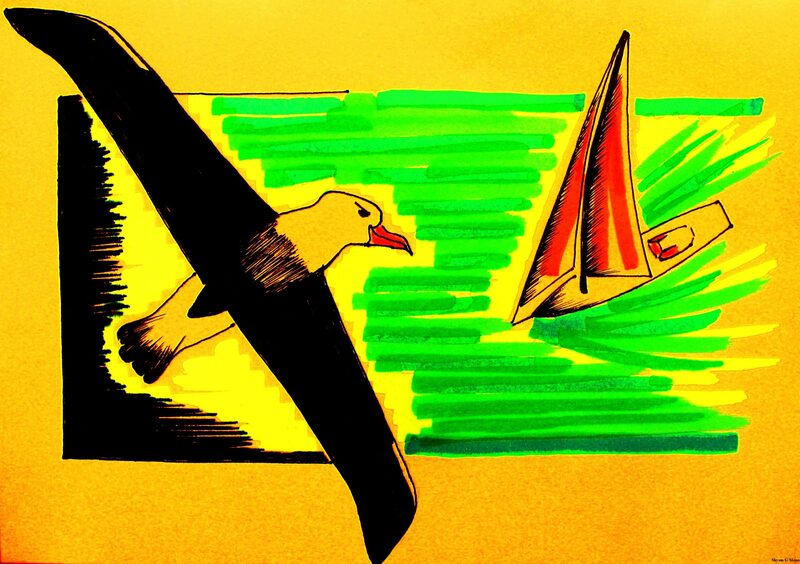 By virtue of the fact that it represents alternative perspective, creativity has always had a rough ride. Yet at every juncture when difference is sorely needed, it is creativity that comes to our rescue. Do we have an environment supportive of creativity? A key component in manufacturing and localization is engineering. India is among the largest producers of engineers in the world. Around 1.5 million engineers are released into the job market every year in the country, a 2016 media report said. In the nineteenth century, Sir James Thomason was the lieutenant-governor of north western provinces in British India. According to Wikipedia, under the system of project implementation used by the British, superintending engineers came from Britain; craftsmen, artisans and sub-overseers were recruited locally. The need to make the latter category more efficient led to the setting up of industrial schools and other related engineering establishments. The Upper Ganges Canal Project was a major assignment taken up by the British. Thomason proposed that a civil engineering college be started at Roorkee. The resultant Thomason College of Civil Engineering signified the start of formal engineering education in India; years later it became the Indian Institute of Technology (IIT), Roorkee. Under the British dispensation, ideation was their domain, the locals were trained to implement. Although it is now slowly changing, this approach has remained the bedrock of Indian engineering education. Now retired, Dr R.V.G. Menon studied at IIT Kanpur, spent many years teaching mechanical engineering at engineering colleges in Kerala and eventually took his PhD in a line of research related to solar energy. 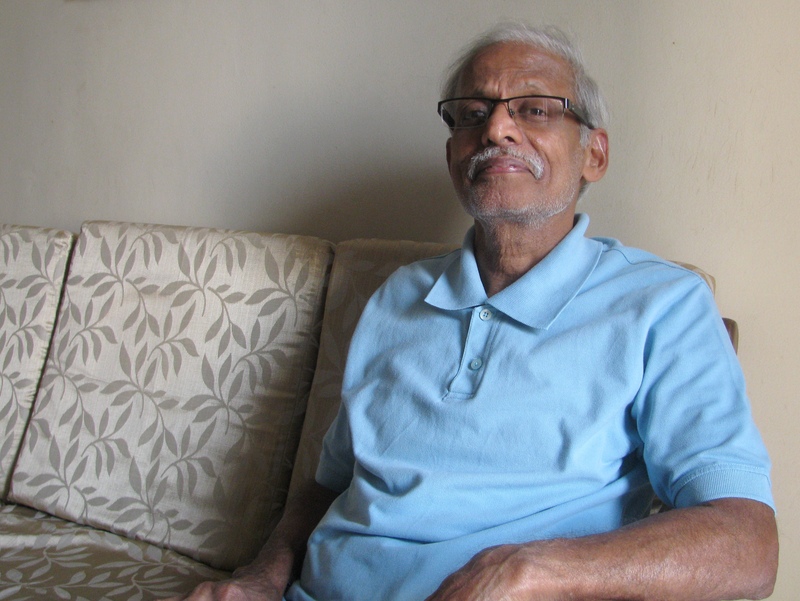 Author of a book on the history and philosophy of science – it is part of engineering curriculum in Kerala – he has also been president of Kerala Sastra Sahitya Parishad (KSSP), one of the biggest grassroots level science movements in India. I asked him how valued tinkering is in India, as aptitude / ingredient in the making of an engineer. After all, curiosity for product and the tendency to take things apart; understand materials, craftsmanship, product architecture and assembly, build upon that knowledge – this is what you find common in earlier mentioned examples like the folks at Psynyde Bikes, Siddharth Suchde or Shailesh Krishna. “ Our engineering education has traditionally straddled two levels. The more common, basic level restricted itself to the application of available knowledge. The higher level, wherein you try to acquire new knowledge is where creativity comes to play. As of today, the bulk of our engineering education is partial to the former,’’ he said. Altering this is tough because there is considerable resistance within the system; the majority of teachers belong to the old block. This is an issue in engineering education unlike in science or humanities, where research done or PhD earned, are respected for the value they hold. Currently, appreciation for creativity in engineering is more overseas. “ Things are slowly changing but given Indian context, it will take time,’’ he said. In practical terms, that delay is a measure of how long it will be before we become sufficiently sensitive to notice and appreciate creativity. For Indian sports, even the existence of IITs hasn’t always been helpful. If you look up the story of Shiva Keshavan (veteran Indian luger who is Asian champion, participated in six Winter Olympics and coincidentally retired from the sport at the 2018 PyeongChang Winter Olympics, days after the 2018-2019 budget) on this blog, you will see there was a phase when he tried unsuccessfully to get his new luge built in India. The sport has product specifications that must be met. Shiva had approached one of the IITs to see if they would make his luge. Very simply put, a luge is no more than a fast, responsive sled. But to get those attributes correct, you should know materials, design and fabrication well, plus have empathy for intended application. The luge for Shiva couldn’t be built in India. It was finally built by former American competition luger Duncan Kennedy in league with the New York based-Clarkson University. Early February, when the Finance Minister was presenting the 2018-2019 budget in Parliament, an India-built sailboat – INSV Tarini – crewed by a team of women officers of the Indian Navy would have been making its way across the Atlantic Ocean, headed for Cape Town. For Goa based-Aquarius Shipyard, it was the second sailboat they built based on a Dutch design, out on circumnavigation. That is no small statement about Indian manufacturing; circumnavigation challenges boat and build quality. However, you would be getting it completely wrong if you concluded the Aquarius story is all about India’s wizardry with budget and tariff-inspired protectionism. Building INSV Mhadei – the first sailboat for circumnavigation the yard made – was passion and adventure, right from the retired admiral who conceived the project (Vice Admiral Manohar Awati [Retd] – he wanted India to succeed at solo circumnavigation with a boat built in India) to the naval officer who was her first skipper (Capt Dilip Donde [Retd]) to the yard that built her. In 2018, Commander Abhilash Tomy, the first Indian to do a solo nonstop circumnavigation (Mhadei’s second such voyage), will participate in the 2018 Golden Globe Race (GGR), yet another solo nonstop circumnavigation. His boat – Thuriya – has been built by Aquarius. That’s three boats for circumnavigation built at the same yard. Years ago, after the Mhadei was constructed and handed over to the Indian Navy, the guardians of India’s finances left their stamp on the mission to realize India’s first solo circumnavigation. Taxmen raided Aquarius; they were followed by the Customs. Their imagination revolved around `yacht,’ which was how the vessel was described in tender documents; yachts are taxed heavily. That episode – the yard got back what it was forced to pay – is now a forgotten snippet but one which clearly shows how narrow a book keeping-perspective of human pursuits can be. The problem of being taxed on par with luxury yacht is also felt in kayaking. Kayaks meant for the performance category, capable of being used in white water rapids, have to be imported. Imported kayaks stand up to the stress and abuse that turbulent waters and rocky rivers throw at them. They are also designed such that it is easy for paddler to roll over and revert to surface should the kayak capsize. Currently the cumulative tax impact on these types of kayaks aggregates to 53 per cent; 25 per cent customs duty plus 28 per cent GST. Reason – tax officials include them in the same bracket as luxury yachts. According to one Bengaluru based-kayaker, the situation is so bad at times that authorities tax kayaking accessories also at the same rate. “ We had given representations to government but the rate enforced on us remains unchanged,’’ he said almost two weeks after the 2018-2019 budget. If you read the history of foreign climbing gear-brands, you will see that many of them began as cottage industry. Interest in sport drives curiosity for improvement, quest for apt gear, design, testing and manufacturing – historically in sport, that’s the chain. In bicycles and running shoes, internationally there have been new brands that cultivated a following. Some of the younger bicycle brands were born through committed cyclists getting into design and manufacture. In running shoes, there are stories overseas of brands which began as retailer of performance footwear, got into customization of shoes (improving the fit of other brands) and slowly transformed to outfits designing and making their own shoes. The best way to encourage manufacturing of sports gear is to desist from denting the fun in sports by raising access cost, including such things like cost of running shoes. People playing more and more translates to more experience compiled, more curiosity provoked and the search for right gear fueled. Policy-makers should focus on angles like – what it would cost to start a manufacturing unit, how easy the process of setting up business is, how affordable the capital goods relevant to manufacture those products are, how supportive community and local administration are of first generation entrepreneurs, whether proper labs for testing equipment quality are available or not etc. Perhaps, most important of all, they must realize that affordable life all around is critical for cost competitiveness in manufacturing. The domestic environment is actually far more important to motivate a citizenry and its creativity than import tariffs fiddled with. If you take the 2012 budget as example, aside from spurring domestic bicycle manufacturers to do what they should have done earlier as natural course of business, there is little dramatically different in the industry, we can claim for budget’s legacy. Aluminum frames continue to be imported because others make it better. Viewed so, what can we hope to see as legacy for 2018’s dose of protectionism? Ritu Chandel Handa started running in 2014. Three years later she did her first 100 miler – Mumbai2Pune 100 miles. This is her story. South Mumbai has a charm to it. At its southern end, Sobo (short for South Bombay) as South Mumbai is often called, converges into a study of contrasts. There are the bustling roadside shops of Colaba selling jewellery, clothes and artefacts, the unexpected quietness of its bylanes, the high rises of Nariman Point and Cuffe Parade, the heritage buildings of Churchgate, Flora Fountain and Fort, and not far from all this, by the sea, that sea front of four kilometres called Marine Drive. Marine Drive is a great place to run. Early mornings and evenings here witness plenty of people out for a jog or a walk. Another nice place to run is Navy Nagar but access here is restricted to navy and army personnel and their families. In 2014 Commander Sunil Handa of the Indian Navy was transferred to Mumbai from Visakhapatnam. He was a runner, having begun his tryst with distance running in 2004, around the time the Mumbai marathon made its debut in India’s financial capital. Ritu Chandel Handa, Sunil’s wife, was familiar with her husband’s affection for running. Her own story in the sport started a decade later, when the family shifted to Mumbai. By 2014, her two daughters had grown up and she could afford to take time out to pursue running. There was also the effect Mumbai’s running ecosystem had on her; few cities in India turn out to run as Mumbai does. Almost 1500 km north east of Mumbai is the state of Himachal Pradesh. Geographically, it is a composite of the foothills of the Himalaya and the main ranges. Kangra district in Himachal Pradesh straddles elevations ranging from 427 meters to 6401 meters above mean sea level. The district lay in western Himachal Pradesh; its lowest elevation pertains to plains bordering Punjab, while its highest elevations fall in the Dhauladhar Range, part of lesser Himalaya. Life in hilly terrain is ideal for building endurance. The altitude, daily life tackling gradients and slopes – they have an impact on human physiology. As with life anywhere, when you are born to the hills and grow up there, you rarely notice how the geography shapes you. It takes an instance when specific qualities are called for, to put such past in perspective and notice what it meant. Ritu realized that in middle age, when she completed her first 100 miler. 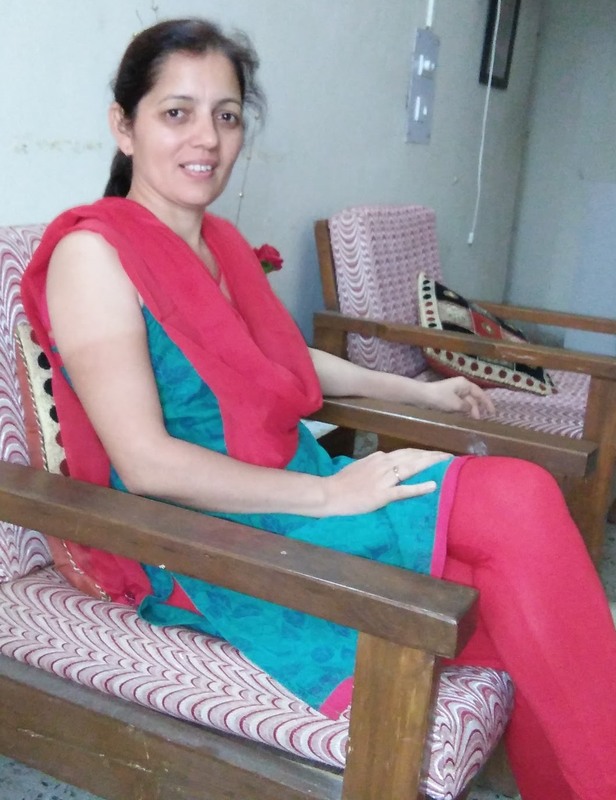 Born December 1972 in Kangra, Ritu did her school and college education in Himachal Pradesh. Then she moved to Rajasthan’s Banasthali University to do her B.Ed. Through these years, sports was completely absent in her schedule. Her first deliberate foray into physical activity happened after marriage, when she joined a gym in December 1999. “I liked gyming,’’ she said. Married to a naval officer, access to gyms was easy given accommodation provided by the armed forces typically included urban amenities. “But now I like running,’’ she said with afterthought. Running was Mumbai’s gift. Unlike Kangra of her childhood, Navy Nagar is flat land. That’s where Ritu started to train, discovering slowly in the process, the capacity for endurance she had. During the first year of her running, when it came to events, Ritu took part in10 kilometer-runs. Her first half marathon (21km) was during the 2016 Thane Hiranandani Half Marathon. She kept her training runs restricted to the South Mumbai area because she wished to be closer to home and her daughters, aged 15 and 12. Meanwhile, husband Sunil, had considerably notched up his mileage. He was becoming known in Mumbai running circles as a runner of the ultramarathon; featuring distances in excess of 42 km. Sunil would go on to complete demanding races like the 111 km and 222 km segments of La Ultra The High, held annually in Ladakh. Given husband who was an ultramarathon runner, it wasn’t long before the curiosity got to Ritu – can I run an ultramarathon? “ I wanted to try it at least once,’’ she said. Sunil was keen that she push her limits. What they needed was the right opportunity. That came courtesy Milind Soman, endurance athlete, model and actor, who is associated with the Pinkathon initiative. 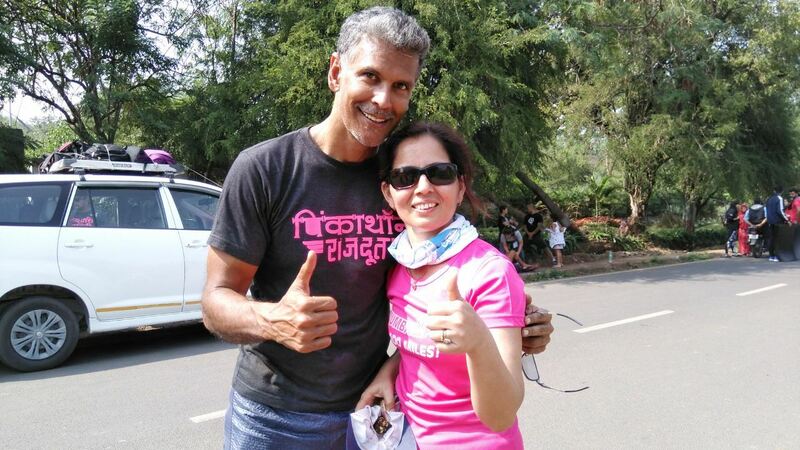 “ Milind was organizing a multi-stage 100 mile-run from Mumbai to Pune for Pinkathon and he suggested that I attempt it,” Ritu said. According to her, she didn’t think twice about taking up the offer, which would see a paradigm shift in the distance she would tackle. She may have been running 10km and 21 km races until then but all along, she had wanted a shot at the ultramarathon. This was her chance. She took it up. The year was 2017. One reason why Ritu felt comfortable attempting the 100 miler was that Milind had envisaged a structured approach with training plan and progressive sieving of potential participants to the best eligible lot. As part of training for the event, Milind first organized a six-hour training run at Mumbai’s Goregaon. The distance of 36 km that Ritu covered during those six hours was not impressive but it gave her the confidence that she could do such events. “At the end of the run I was perfectly alright,” she said. How you feel after pushing yourself is a good index of what you can do, how much more you can take and how much work you need to put in to do that. A couple of months later on July 30, Ritu took part in a six-hour night run organized by Mumbai based-coach, Haridasan Nair. Sunil ran with Ritu at her pace the entire time. For him, the run served as training for his upcoming 222 km-run at La Ultra The High in Ladakh. That night, Ritu logged 41 km. “I was not comfortable running at night,’’ she said. Fifteen days later, on August 13, she ran the 12-hour Mumbai Ultra where Ritu was able to cover a distance of 62 km. Two days later she travelled to Leh to be part of support crew for Sunil during his shot at the 222 km-segment of La Ultra The High. Ritu was to join Sunil at the 78 km-mark, one of the cut-off points in the race. “I was waiting for Sunil at the 78 km cut-off. Time kept ticking by and I started to panic,’’ she said. Panic soon turned to tears as there was no sign of Sunil. “Dr Rajat Chauhan (organizer of La Ultra, The High) kept reassuring me that Sunil would make it. Then at 10:50 hours with just 10 minutes left for cut-off, Sunil emerged, much to everyone’s relief,’’ she said. 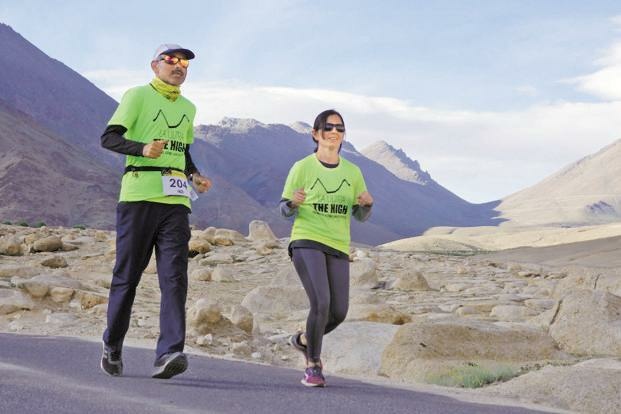 Ritu and Rigzin Chosdon, an athlete from Ladakh, ran with Sunil. “I would run 10 km and take a break while Rigzin ran the next10 km with Sunil,’’ she said. Ritu ran a total of 50 km with Sunil at altitude; Ladakh’s average elevation is around 10,000 feet. The naval officer completed the race’s 222 km-distance in 46 hours 21 minutes, placing third. Once back from Ladakh, Ritu started her training for the 100 miler. “Milind gave a training schedule for all the women participating in the 100 miler. Sunil also created a training program specifically for me,’’ she said. The training plan entailed running for five days a week with weekday mileages of around 10 km and weekend mileage approximating 50 km. “ Fact is that I followed only 70 per cent of the training program given by Milind,’’ Ritu said. Nevertheless, she made it to the final stages of selection for running the 100 miler from Mumbai to Pune. “ I felt I could go for it,’’ she said. According to her, Milind, who was tracking the performance of potential participants, kept streamlining the final list of runners eligible to take part in Mumbai2Pune 100 miles. Little over a month after her Ladakh outing, Ritu travelled to Manali with her family. “Sunil was running 60 km as part of Hell’s Race. I had no plans to run this event. 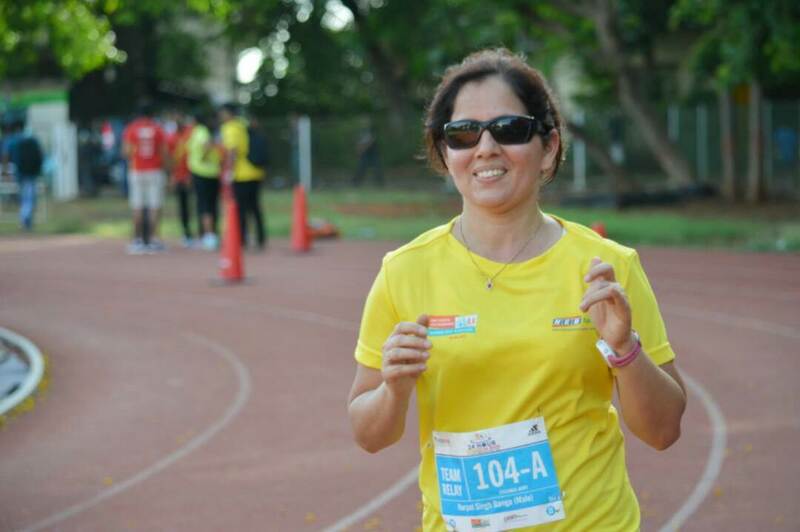 But when I got there I decided to do the 30 km-segment and went in for spot registration,” said Ritu. The course laid out mostly on trails across Manali was tough. Ritu took six hours to finish her run. “ It was really hell’s race. I will think twice before I go for a trail run,” she said. 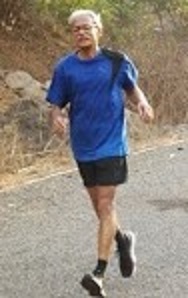 Meanwhile as part of training for the 100 miler, Milind Soman organized a run at Yeoor Hills in Thane on October 22. The runners participating were required to do ten loops of six kilometers each, in a time of 11 hours. At the end of this event, 20 women were chosen to do the 100 miler. Ritu was one of them. 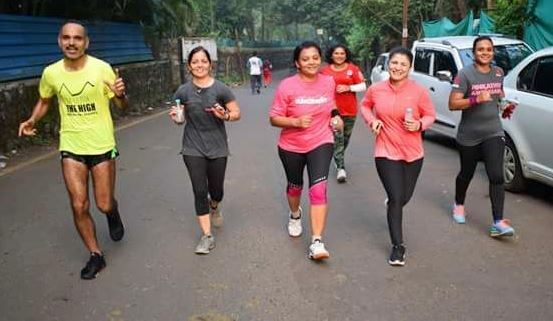 On November 23, they 100 miler kicked off at 5 AM from Shivaji Park in Mumbai with five crew cars (one car for each set of four women runners) alongside. The first day was tough with pollution, heat and heavy traffic assailing the runners. 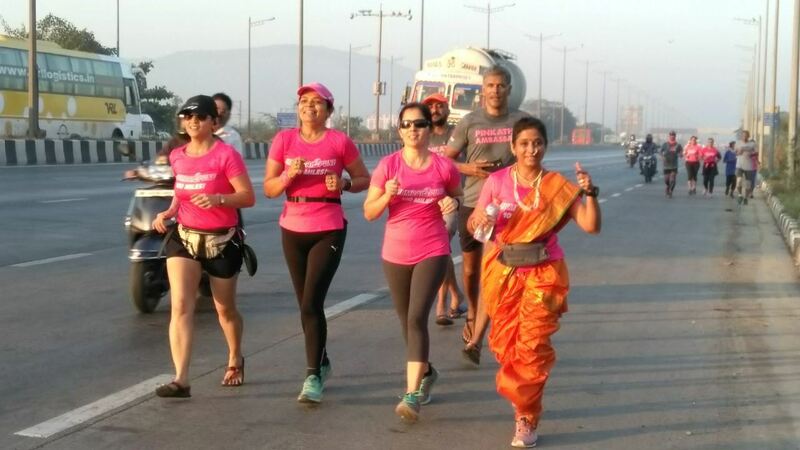 Ritu and her team of four women covered a distance of 64 km. A major positive was the superb hydration and food support that runners enjoyed during the three-day run. The second day was much better despite the path being hilly. She covered a distance of 54 km. On the third and final day, she covered the remaining 38 km and reached Pune in the afternoon. According to Ritu, all the 20 women who participated completed the distance. Once the multi-stage 100 miler was done, it was time for Ritu to get back to her home and routine. Running a 100 miler does not seem daunting to her. “ It is doable,’’ she said in an unassuming manner. Training is important to run ultra-marathon distances, she reiterated, almost like a mantra to herself. For someone who straddles 10 km, half marathon and now ultra-marathon distances, Ritu was however uneasy about running the full marathon. “ I will run ultras but I do not want to do a marathon,’’ she said. Ritu’s observation won’t surprise runners. The full marathon, although only 42 km-long, is often more demanding than the ultramarathon because it comes packaged with the need to cover the distance in a reasonable amount of time. The required combination of stamina and speed makes one’s progress in a full marathon, challenging. Ultramarathon champion Scott Jurek, in his book “Eat & Run,” has noted that an ultramarathon isn’t as hard as a marathon. “ With the right training and support anyone can do an ultra,’’ he says. That said, the emergent quest with ultramarathon runners is to be able to maintain a steady pace for long. There are ultramarathons with stiff cut–offs and little external support; not to mention, many 100 milers are run in one stage. After all, what makes a run a race are the challenges added in. This image was downloaded from the Himalayan Club website; it is being used here for representational purpose only. The Himalayan Club will hold its annual seminar and presentation of the Kekoo Naoroji Book Award and Jagdish Nanavati Award over February 17-18, 2018, in Mumbai. The club which is celebrating 90 years of its existence was originally founded on February 17, 1928. The 2018 edition of the annual seminar will be inaugurated by General Bipin Rawat, Chief of Army Staff of the Indian Army. A clutch of distinguished mountaineers from overseas are scheduled to speak at the seminar. They include British mountaineer Mick Fowler who will deliver the annual Kaivan Mistry Memorial Lecture, American mountaineer and high altitude filmmaker, David Breashears (he is also founder and Executive Director of Glacier Works, a non-profit organization that uses art, science and adventure to raise awareness about the impact of climate change in the Greater Himalaya) and renowned French climber Catherine Destivelle, who is held in high regard for her solo ascents. This time, the winner of the Kekoo Naoroji Book Award is Mark Leichty. 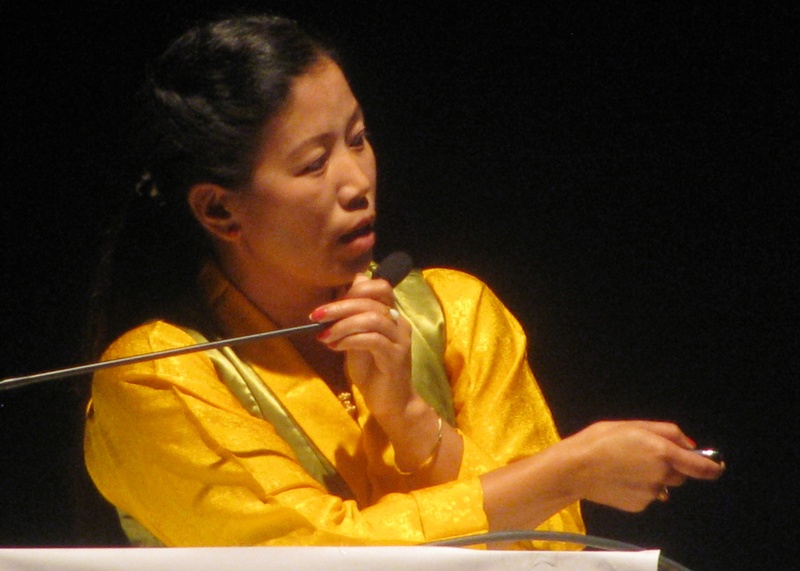 Also scheduled to speak are mountaineers Maya Sherpa from Nepal, Vineeta Muni from Mumbai and senior club member and winner of the Asian Piolet D’Or, Harish Kapadia. At the seminar, General Rawat will unveil the book Legendary Maps of the Himalayan Club. Harish Kapadia will introduce the book. The venue for the meeting is Swatantryaveer Savarkar Auditorium, Veer Savarkar Marg, Shivaji Park, Dadar West. There is a registration fee of Rs 300 per person. Registration will begin by 3.30 PM on the first day; proceedings of the second day will commence by 10.15 AM. We spoke to Ramachandra Rao, winner in his age category (70 years and above) in the half marathon for men at the 2018 Tata Mumbai Marathon (TMM). Much of Ramachandra Rao’s life was devoted to science. It was so till questions about existence – traceable back to his student days at the Indian Institute of Technology (IIT) – resurfaced and whisked him off to a dozen years of quiet contemplation. As with many people who explored the puzzle of existence, Rao’s responses during our conversation were replete with the urge to be as honest as possible and doing so, delving into blasts from the past suffused with clarity about the universe. Only then does the train of reasoning behind each response line up properly. It also spawned the struggle – where are the words to describe insight as accurately as possible? Rao, 71, is a scientist specialized in organic chemistry. He used to work with a leading multinational company in the pharmaceutical sector; in their research lab. A combination of factors triggered journey to spiritual dimension. The fine research lab he worked at progressively shut down. Subsequent assignments he took up were not sufficiently engaging. Those days, the Indian R&D environment wasn’t a match for what MNCs offered. It disappointed Rao. At the same time, questions about the meaning of existence, long unanswered came back to haunt. There was also the coincidence of means to find answers – books on spirituality for example – landing up without him seeking them out. He had suspected all along that something was not adding up in materialistic world. It seemed time to apply his scientifically trained mind to those questions. During the time Rao lived the withdrawn phase that followed his departure from employment, he stayed near the Mahalakshmi Race Course and at Churchgate, both parts of Mumbai quite close to the annual Mumbai marathon’s course. He admits to having been aware of the event; at Churchgate he could even hear the sea of runners passing by. But he had no interest in watching the marathon. The questions in his head held no room for running right then. Rao’s phase of withdrawal eventually made his mind quieter, helped him deal with his thoughts and lightered him as a human being. The journey also elicited a physical toll. By the time he shifted to Kharghar in Navi Mumbai, sustained lack of exercise meant he couldn’t walk for long and when it came to tackling stairways, he needed a railing for support. His wife, who is a regular walker, remembered Rao’s interest in sports and athletics while he was doing research in the US. She encouraged him to recommence running. He had no running shoes. Luckily an old pair belong to his son was available in the house. It took Rao a couple of months to find his stride and rhythm. There were also other challenges to overcome. A freak accident in childhood had ensured that Rao saw little with his right eye. His vision is therefore limited. On the other hand, Indian roads – the most accessible training surface for runner in this country – tend to be uneven and the traffic on them, unpredictable. It took some time getting used to early morning runs. Running in low light is difficult for Rao and when automobile headlights shine harshly, he is easily blinded. Nevertheless, once he found his groove, a new journey began. A soft spoken person, Rao trains in Kharghar, now a bustling township. He is a good runner. In 2014, the first time he ran the half marathon at the Mumbai marathon, he ended up third in his age category. In 2015, he improved that to second position. He was also on the podium twice (in the half marathon category), at the Satara Hill Marathon. At Kharghar, he trains five days a week. His companion on some of these training runs is triathlete Meena Barot, who lives in the same township. According to Rao, Tuesdays are kept for an easy run. On Wednesday, he runs fast “ like a tempo run, making sure I don’t exhaust myself.’’ In terms of distance, this would span 8-10 km. He does not run on Thursday. Friday, he does interval training with adequate gap between sets to rest and recover. On Saturday he does an easy run of not more than eight kilometers. He does a long run of anywhere between 15-20 km on Sunday. He also does some strength training. Running in Kharghar used to be more enjoyable; nowadays it gets occasionally taxing. “ There are factories in Taloja nearby and my trained organic chemist-nose quickly senses pollutants in the air,’’ Rao said, adding that several runner-friends have shifted their training towards the adjacent township of Belapur to escape the pollution. 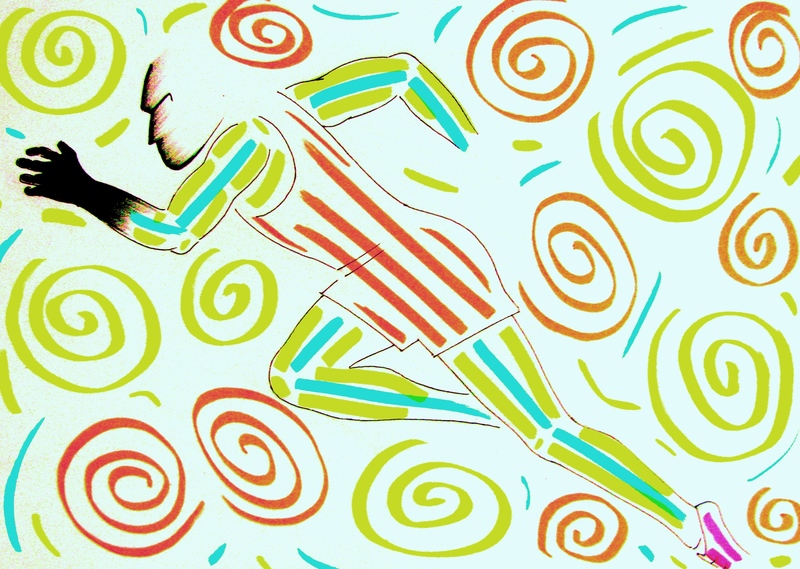 Like most runners, Rao had his share of experiments with running shoes. Finding suitable shoes in India is tough; generically, the nature of shoe sales here is such that finer details get glossed over. Rao has slightly wide feet with requirement for a large toe box. A perfect fit eluded him. Then four to five years ago, he began trying barefoot-running. The transition was both testing and time consuming. “ You have to be patient,’’ Rao said. Navi Mumbai runners, Surya and Shyam Sunder, introduced him to Vibram’s collection of minimalist footwear. It worked well for Rao. Even the old back pain he had, subsided. Then, a new problem emerged. Kharghar has relatively wide, straight roads and for hill running, there is that lovely road leading all the way up Kharghar Hill. The hill road, much valued by runners to train on, has fallen into a state of disrepair. Having found his ideal footwear for running in Vibram’s collection, Rao’s disappointment with the hill road’s condition and the poor surfacing of Indian roads in general, was pronounced. Uneven surface and lose gravel aggravate the pace of wear and tear on runner’s footwear; they also poke through soles, hurt runner’s feet, cause twists and such injuries. Injury has been a recurrent issue in Rao’s running, revived in his years as senior citizen. Rao does not participate in many events. Twice, in 2016 and 2017, he registered for the Mumbai marathon but could not run because of injury. Race day was smooth for Rao except for some delay in accessing his first dose of hydration. TMM’s half marathon starts on the road along Worli sea-face. It then traverses up and down the massive bridge across the sea – popularly called Sea Link – before proceeding through Worli and Haji Ali to South Mumbai. The first aid station Rao passed by on the Sea Link was yet to be manned. At the second one, volunteers were just unpacking cartons of bottled water. In the hurry to access a sip, his limited vision ensured that he banged into one of the volunteers. It left Rao with a cut on his lip. From aid stations elsewhere on the course he availed two to three packs of oral rehydration solution. “ I need these replenishments; they are important for my running,’’ Rao said. He finished the half marathon discipline at 2018 TMM in 2:02:01, placing first in his age category (70 years and above). Seven years earlier and younger in age by as much, he had participated in his first running event – the Pune Half Marathon of November 2011. There, he had completed the distance in 2:06. 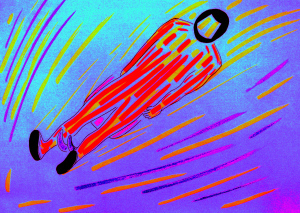 “ It is strange, the happiness you get from the physical exertion of running and the happiness you get from the wakefulness that follows meditation – they feel similar,’’ he said.